Unfortunately, many people wrongly assume that auto and umbrella insurance policies will provide reimbursement for all aspects of an accident on the road. Instead, both of these policies cover your own liability and provide compensation to others in the event that you are responsible for an accident. However, if another driver causes an accident and doesn’t have enough insurance coverage to compensate you, your own auto or umbrella policies may not be enough. If another driver doesn’t have enough insurance coverage to pay for your medical bills, you could face extremely high costs or lengthy court battles. However, by purchasing stand-alone uninsured (UM) or underinsured (UIM) motorist coverage, or by adding the coverage as an endorsement to your umbrella policy, you can be fully protected on the road. Auto insurance is required in most states because all drivers on the road essentially put their trust in one another to not get into an accident. As a result, your regular auto insurance policy will reimburse another driver if you are the cause of an accident. In a similar way, umbrella policies provide you with excess coverage for a number of different personal liabilities. However, if another driver doesn’t have enough coverage to fully pay for the damage of an accident, you could be left to pay the bills yourself. Uninsured motorists simply don’t purchase an auto insurance policy. As a result, if they cause an accident, there isn’t a policy in place to reimburse you for medical bills. According to the Insurance Research Council, approximately 1 in 7 drivers in the United States are completely uninsured. Underinsured motorists have an insurance policy, but don’t have a high enough coverage limit to pay for all of the expenses of an accident. Some states only require a small amount of coverage, which won’t be enough to pay all of your medical expenses. To protect yourself from these risks, it’s important to contact us about a stand-alone policy or an endorsement to your umbrella coverage. Without UM or UIM coverage, you’re essentially paying more for the protection of strangers than you are for yourself and your family. And, although uninsured and underinsured drivers are all too common, many people believe that they’re already covered if someone else causes an accident. UM or UIM policies are available, as are endorsements to umbrella policies that can protect you from uninsured or underinsured drivers. In fact, in many states, you may be required to purchase UM or UIM coverage. However, just like a normal auto policy, there are some aspects of this coverage that you should consider. Depending on the state, you may only be required to purchase a small amount of UM or UIM coverage. However, since these policies will protect you and your family in the event of an accident, it’s generally a good idea to purchase the same amount of coverage as your regular auto policy. Coverage is also inexpensive. Adaptive cruise control: This type of cruise control automatically speeds or slows down your car based on the actions of the vehicles in front of you. This tool can help reduce the likelihood and severity of rear-end collisions. Automatic braking: Automatic braking devices are designed to reduce the severity of high-speed collisions in the event of a lapse of driver attention. These devices can predict impending crashes and help combat distracted driving. Blind-spot detection: Through the use of sensors, blind-spot detection systems sound an alarm in the event that an object is in your blind spot. These devices can help reduce accidents on the highway and are particularly useful for changing lanes. If you purchase a vehicle with driver-assist features, it’s important to familiarize yourself with how they work. Doing so can help keep you safe on the road and allow you to get the most out of crash-prevention technology. What do I give up by not using a licensed independent agent to purchase insurance? The disadvantage of not using a licensed agent to purchase insurance is that the policyholder does not receive as much, or often any, personal service. A licensed agent with whom there is direct contact can be vital when purchasing a product and absolutely necessary when filing a claim. Without an agent to act as your personal advocate during the claims process, you are left to take care of the details on your own. You may be unsure who to contact at the insurance company or who you can really trust to help you during the times in life when you need help the most. Without an agent you are on your own to absorb the frustration and expense of resolving your problems. The disadvantage of not using a licensed independent agent to purchase insurance is that agents who only represent one insurance company can only offer insurance based on that one company’s policies and rate structures. As an independent agency we represent numerous insurance companies and are deeply familiar with the intricate differences between them. Therefore we are able to match your needs with the best company to meet those needs and your budget without having to sacrifice coverage in order to find affordability. What’s the risk in not using an agent? Many insurance companies that can be called directly as a customer fail to tell you that the “call center personnel” who will take your information and issue the policy ARE NOT licensed to sell insurance, therefore lacking the professional knowledge to guide you toward an acceptable level of protection. These companies are conducting business using a loophole within the law which allows the company to have one license while everyone else works without it. Going this route can place your financial future at risk because unlicensed personnel are trained to simply sell you a policy without being aware of what “real” protection means. Because direct writers are typically located nowhere near where you live, many won’t hesitate to sell you a policy with low liability limits as a way to simply make the policy cheaper while convincing you to buy it. Leaving you extremely vulnerable to financial disaster. Looking for an agent with your best interests at heart? That’s exactly why we’re here. Lightning storms are incredibly dangerous and more deadly than tornadoes, floods and hurricanes. When a storm is on the verge of striking your area, you need to know the steps to take in order to protect your family and home. Seek shelter in an enclosed building, if possible. If you are in a car, stay inside and keep the windows securely rolled up. Do not use a small shed, pavilion or lean-to as shelter—they do not provide enough protection. Do not use a landline telephone during a storm. Instead, use a cellular or cordless phone that is not connected to the building’s wiring. If you’re outside during a lightning storm, get as close to the ground as possible without placing your hands or knees on the ground. Avoid seeking shelter near trees, metal fences, pipes or tall and long objects. If you are swimming, boating or fishing, seek shelter on land immediately. If someone you know is struck by lightning, contact emergency personnel immediately. A lightning strike can cause the heart to stop and a person to stop breathing. If you have the proper medical training, administer CPR to victims who do not have a pulse and treat conscious victims for burns, fractures and other wounds. Recreational vehicles (RVs) can be a fun way to see the country and spend time with your family. However, because they’re bigger and heavier than an average car, there are additional hazards that come with owning and operating an RV. Know the weight capacity of your RV. Perform a complete pre-trip inspection. Check the tire pressure, tread depth, headlights, tail lights, turn signals, belts, oil levels, hitch and other towing equipment, and windshield wipers before leaving. Know the height of your RV and pay close attention to overhangs and clearance heights. Watch your speed, especially at night and during dusk. Slow down on blind curve areas of the roadway. Use your high beams at night to see animals and other obstructions. https://agencyinfo-insuredco.netdna-ssl.com/insuranceassociate-wp/__domain_images_wp/enfold_wpheader_logo.png 0 0 Admin https://agencyinfo-insuredco.netdna-ssl.com/insuranceassociate-wp/__domain_images_wp/enfold_wpheader_logo.png Admin2018-05-09 12:40:442018-05-09 12:41:07Is Gap Coverage Right for You? While it may be difficult to imagine it happening to you, home break-ins are a common occurrence. If an intruder enters your home, your property and the well-being of your loved ones are at risk. Put an emergency plan in place and discuss it with everyone in your household. Take any measure possible to let the intruder know someone is home and aware of his or her presence. Do not assume the intruder is unarmed. He or she may be concealing a knife or gun and could produce it at a moment’s notice. If you have something immediately available you can use for defense, grab it, even if it is just a scare tactic. Remain vigilant. Take note of the intruder’s physical characteristics and provide the most accurate description possible to the police if he or she gets away. In addition to the above, consider arming your home with a security system. A security system may seem expensive, but knowing your family and possessions are safe at all times may make it worth the cost. https://agencyinfo-insuredco.netdna-ssl.com/insuranceassociate-wp/__domain_images_wp/enfold_wpheader_logo.png 0 0 https://agencyinfo-insuredco.netdna-ssl.com/insuranceassociate-wp/__domain_images_wp/enfold_wpheader_logo.png 2018-01-23 11:02:232018-01-23 11:02:23Are You Prepared for a Home Break-in? Obtaining the peace of mind financial stability brings starts with reviewing your current financial resources. This is important because your financial resources affect not only your ability to reach your goals, but your ability to protect those goals from potential financial crises. These are the resources you will draw on to meet various life events. Start by calculating your net worth—this isn’t as difficult as it might sound. Your net worth is simply the total value of what you own: your assets, minus what you owe (your liabilities). It’s a snapshot of your financial health. First, add up the approximate value of all of your assets. This includes personal possessions, vehicles, homes, checking and savings accounts, and the cash value (not the death benefits) of any life insurance policies you may have. Include the current value of investments, such as stocks, real estate, certificates of deposit, retirement accounts, IRAs and the current value of any pensions you have. Now add up your liabilities: the remaining mortgage on your home, credit card debt, student and personal loans taxes due on the profits of your investments if you cashed them in and any other outstanding bills. Subtract your liabilities from your assets. Do you have more assets than liabilities? Or the other way around? If so, don’t beat yourself up. According to Forbes Magazine, a person with no debt and $10 in his or her pocket has more wealth than 25 percent of Americans. Your aim is to create a positive net worth, and you want it to grow each year. Your net worth is part of what you will draw on to pay for financial goals and your retirement. A strong net worth also will help you through financial crises. Review your net worth annually as a good way to monitor your financial health. Websites like Mint.com help you keep track of your income, expenses and net worth on a daily basis. Identify other financial resources. You may have other financial resources that aren’t included in your net worth but that can help you through tough times. These include the death benefits of your life insurance policies, Social Security survivor’s benefits, health care coverage, disability insurance, liability insurance, and auto and home insurance. Although you may have to pay for some of these resources, they offer financial protection in case of illness, accidents or other catastrophes. For many of us, the holiday season is a time of joy, celebration and tradition. We look forward to hosting or attending festive gatherings or concerts. We travel near and far to share in the spirit of the season with family, friends and co-workers. We cook more, shop more and decorate more. However, all that extra cooking, traveling, shopping, celebrating and decorating we do can post potentially serious hazards at home, in the office and on the road. Reports from leading safety organizations indicate that the time from Thanksgiving through the New Year is also one of the most dangerous for homeowners. Whether you are planning or participating in the festivities, knowing the risks and how to help avoid injury, theft and damage to property through the holiday season are important however you choose to celebrate. According to the National Fire Protection Association (NFPA), home fires and home fire deaths peak between December and February. * Cooking is the leading cause of home fires year round, and the increased use of stovetops and ovens for preparing holiday meals can increase the risk. Holiday decorations and the open flames of fireplaces and candles used during the holidays can also pose a threat. To help reduce the risk of fire, consider using non-flammable or flame-retardant decorations. If you decorate a Christmas tree this time of year, select a quality artificial tree and decorate with only UL-listed lights. If you choose to have a fresh tree, be sure to keep water in the stand at all times. According to the NFPA, even a well-watered fresh tree should be taken down after four weeks. If you celebrate using a menorah, consider lighting using dripless candles. Remember to keep decorations and trees away from candles, fireplaces and heaters. Never leave an open flame or stove unattended. Decorating the home, office or yard is a popular way to get into the spirit of the season. Planning your displays carefully is important to help reduce the risk of fire, electrical shock, trips and falls, and property damage. If a ladder is to be used always use a fiberglass or wooden ladder as they do not conduct electricity should the ladder come in contact with an open power source. Be diligent about everything you do while decorating to help keep your family and friends safe when putting up, playing around or packing away your festive displays. Over the river and through the woods to grandmother’s house, shopping malls and holiday parties we go — all increasing our risk of having to drive in sometimes hazardous winter conditions. Always check the weather before going out, and avoid driving in snowy, icy or other severe conditions if possible. Take a vehicle survival kit stocked with cold weather essentials on every trip, and try to keep your gas tank from getting far below the half empty level. Following your common sense and basic winter driving tips can help ensure you and your passengers reach your holiday destinations safely. Consumer Protection Safety Commission, http://www.cpsc.gov/; Electrical Safety Foundation International, http://esfi.org/. After the devastating hurricanes in Texas and Florida, residents are now assessing the damage, contacting their insurers, and starting on the long process of physical and financial recovery. If you were affected by Hurricane Harvey or Hurricane Irma, here is how to get the money you deserve from your insurance company and ways to make the most of other assistance to fill in the gaps. Keep reading to learn more about the 10 things you need to know about hurricane insurance claims. In general, damage caused by wind, wind-driven rain and water that comes into your home through the roof, windows, doors or holes in the walls is covered by homeowners insurance. But damage from flooding or water that rises from the bottom up–from the overflow of a body of water, for example, or a storm surge–is not covered. A lot of the damage in Houston was from flooding and will be covered if you had flood insurance, such as through the FloodSmart.gov National Flood Insurance Program. But even if you didn’t have flood insurance, it’s still worthwhile to contact your home insurance company to see whether some of your expenses will be covered, such as wind damage to your roof or the additional living expenses you incurred while you were out of your house. See Federal Emergency Management Agency’s Wind Damage vs. Flood Damage fact sheet. Also see Lessons From the Floods for more information about how flooding affected Cedar Rapids, Iowa, and other Midwestern towns, as well as what types of damages were and were not covered by insurance. If your car insurance includes comprehensive coverage (which insures against the type of physical damage not caused by an accident), then flooding would be covered. In many cases, the water damage can be so bad that the insurance company will declare the car a total loss and pay the claim for the value of the car (minus the deductible). Also, be careful if you’re buying a used car in the next several months as cars with flood damage enter the market; such damage could pose major safety risks. Until a few years ago, many people in high-risk areas of Florida had to buy separate policies to cover windstorms. Now, more insurers are offering windstorm coverage in Florida as part of their homeowners policies, says Chris Heidrick, an independent insurance agent in Sanibel, Fla. But you may have a higher deductible for hurricane damage. For example, you may have a $500 deductible on most claims, but a deductible of 2% to 5% of your coverage amount for damages caused by a hurricane. In Texas, people in some coastal areas, such as Corpus Christi, may have three separate policies: homeowners insurance, separate hurricane coverage from the Texas Windstorm Insurance Association and a flood policy with the National Flood Insurance Program. For more information, see What You Need to Know About Homeowners Insurance in Hurricane-Prone States. See the Texas Hurricane Center and Florida’s Hurricane Irma Disaster Resources for information about emergency housing, medical and financial assistance from a variety of nonprofits and government agencies. You may also be able to get financial assistance from FEMA.gov if you don’t have insurance. Type your address in the tool at DisasterAssistance.gov to find out about aid in your area, including money for living expenses and rebuilding. You can also get in-person help at a FEMA disaster recovery center. Look up the nearest one using the recovery center locator. You may also qualify for SBA Disaster Loan Assistance, a low-interest loan available for homeowners and renters to repair or replace damaged property. (Even though it’s offered by the U.S. Small Business Administration, you don’t need to be a business to qualify.) Also see links to the state emergency management agencies. Even if a hurricane didn’t destroy your home, you may have some damage from fallen trees. If your tree damages a neighbor’s property–say, crushing a garage or fence–your neighbor should file a claim with his insurance company, which will generally pay to fix the damage. When a tree falls and doesn’t hit anything, insurance policies will typically pay just $500 to $1,000–or sometimes nothing–for the cleanup. See Your Tree, Your Neighbor’s Property: Whose Insurance Pays? for more information. Most homeowners policies pay for additional living expenses–including rent, food and other costs–for up to a year while you’re unable to live in your home, or up to a certain percentage of your total coverage amount. This may be the first money you get from your insurance company before it determines how much to pay to rebuild your home. These living expenses can really add up if you’re out of your home for a while as you wait for your house to be rebuilt. Keep the receipts for reimbursement. Some insurers provide debit cards for these expenses. Insurers usually want you to make temporary repairs, such as putting up a tarp, to stop any further damage to the house, even before an adjuster assesses the property. But take pictures before you make those temporary fixes. See the National Association of Insurance Commissioner’s apps and other resources to help you document the damages. Also keep receipts of any supplies you had to purchase for repairs, which may be reimbursed by your insurer. See Make Your Insurer Pay for strategies that helped people get their claims paid after Hurricane Katrina. Also see the “Managing the Post-Storm Insurance Claims Filing Process” consumer alert, important contact information and other resources at the Florida Office of Insurance Regulation’s Hurricane Season Resources page. If you had a home inventory listing your possessions, and you kept it online or outside of your home, you’ll have a great head start when filing your claims. Otherwise, you may be able to piece together information that can help with your claim. Any photos you have of the rooms in your home can provide evidence to the insurer about items that were damaged. Also look for any receipts for valuable items. And take pictures after the hurricane but before removing debris so that you have some documentation that the items were damaged in the storm. See How to Get Your Insurer to Pay Your Claims to read about how people have pieced together inventories after tornados and water-damage claims–and what they wish they would have done differently. The state insurance department generally has consumer protection staff in disaster areas to answer questions and help you contact your insurer. Many insurance companies also have mobile claims units on the ground to assist with filing a claim and to answer any questions. See the Texas Department of Insurance’s Disaster Assistance Mobile Unit Locations and Help After Harvey resources. Also see Florida’s FloodSmart.gov Hurricane Irma Insurance Resource page and call the state’s insurance consumer helpline (877-693-5236; 850-413-3089) for more information about filing a claim and protecting yourself from scams. The state insurance department can help you with questions as you start to file your claim, and it can also step in if you’re having trouble contacting your insurer or getting your claim paid. Many insurance departments also set up special mediation programs to help resolve disputes between residents and their insurance companies after a major disaster. For more information, see the Texas Department of Insurance and the Florida Department of Financial Services. Also see the National Association of Insurance Commissioners’ insurance department map for contact information in other states. When your child leaves for college, it is a big event. One thing that you should think about is your insurance coverage and how it could change with your son or daughter away at school. Many homeowners policies consider a dorm room as an extension of your home, so items your child keeps there may be covered to some extent. However, if your child has expensive electronic equipment or furniture, you may want to consider purchasing additional coverage. If your child lives off campus, his or her possessions may not be covered by your homeowners policy. In that case, you may want to consider renter’s insurance, which typically costs as little as a few dollars per month. Renter’s insurance will cover possessions in your child’s off-campus apartment or house as well as provide liability coverage if anyone is injured in the residence. If your son or daughter moves more than 100 miles away from home to attend school and does not keep a vehicle there, your car insurance premiums could decrease by as much as 30 percent. Since 2014, children up to age 26 can stay on their parent’s employer plan even if they have another offer of coverage through an employer. This rule applies to all plans in the individual market and to new employer plans. It also applies to existing employer plans unless the adult child has another offer of employer-based coverage. If you find your child does not have adequate coverage under your plan, you have a few options. Most universities have their own health plans, but some policies have low deductibles and low coverage maximums. It may be better to consider an individual policy for your student depending on his or her needs. If you are sending a child off to college and haven’t looked at adjusting your coverage, contact us today to learn more. You could save money on your policies and protect your child from expensive incidents while away from home. As with all insurance, the amount of benefit or reimbursement you have in the event of an incident is set at the time you buy your policy. Though grilling is an extremely popular way to prepare food in the summer, it can also be dangerous. According to the U.S. Fire Administration, gas and charcoal grills account for an average of 10 deaths and 100 injuries annually. Additionally, the National Fire Protection Association reports that an average of 8,900 home fires are caused by grilling each year. Make sure your grill is at least 3 feet away from other objects including your house, trees and outdoor seating. Remember that starter fluid should only be used with charcoal grills and never with gas grills. If you suspect that your gas grill is leaking, turn off the gas and get the unit fixed before lighting. Do not bring your grill into an unventilated or enclosed space such as the garage or inside of your home. Do not let children and pets play near the grilling area when cooking until the grill is completely cool. Allow time for your grill to completely cool down before storing or covering it after grilling. Prevent food-borne illnesses by grilling your meat to the proper internal temperatures. Teach children water safety and swimming skills as early as possible. Always brief babysitters on water safety, emphasizing the need for constant supervision. Appoint a “designated watcher” to monitor children during social gatherings at or near pools. Equip doors and windows that exit to a pool area with alarms. Install a poolside phone, preferably a cordless model, with emergency numbers programmed into speed-dial. Post CPR instructions and learn the procedures. Keep rescue equipment poolside. Don’t wait for the paramedics to arrive because you will lose valuable life-saving seconds. Four to six minutes without oxygen can cause permanent brain damage or death. Keep a first aid kit at poolside. Install four-sided isolation fencing, at least five feet high, equipped with self-closing and self-latching gates, that completely surrounds the pool and prevents direct access from the house and yard. Maintain constant visual contact with children in a pool or pool area. If a child is missing, check the pool first; seconds count in preventing death or disability. Don’t use flotation devices as a substitute for supervision. Never allow a young child in a pool without an adult. Don’t leave objects such as toys that might attract a child in the pool and pool area. Never prop the gate to a pool area open. Never assume someone else is watching a child in a pool area. Don’t leave chairs or other items of furniture where a child could use them to climb into a fenced pool area. Every region in the United States can be affected by flash floods, especially low-lying areas: near river beds and coastlines. Cities are more likely to be affected by flash floods due to the predominant impermeable surfaces, such as asphalt, and the lack of natural drainage systems. The water from flash floods can reach a height of 20 feet, which can severely damage anything in its path. Just 2 feet of floodwater moving at 9 feet per second (standard speed of flash floods) is enough to sweep vehicles away, move 100 pound rocks, uproot trees or level buildings. Just 6 inches of rapidly moving floodwater can sweep someone off their feet. Between 2004 and 2013, an average of 75 people have died from flash floods in the United States per year. Nearly all who perished during flash floods tried to outrun the waters rather than going to a higher area. Two thirds of the deaths claimed by flash floods occur in vehicles, when the drivers try to pass through the floodwater. Flash floods can cause extensive structural damage: 12” of floodwater on a 2,000 square foot building can cause $50,000 worth of damage or more. Flash flood warnings are issued by the National Weather Service when a flash flood is imminent. https://agencyinfo-insuredco.netdna-ssl.com/insuranceassociate-wp/__domain_images_wp/enfold_wpheader_logo.png 0 0 https://agencyinfo-insuredco.netdna-ssl.com/insuranceassociate-wp/__domain_images_wp/enfold_wpheader_logo.png 2017-03-01 11:40:092017-03-01 11:40:09It’s Tax Season. It’s Also IRS Phone Scam Season. Organizations and individuals will likely face unexpected emergencies — both natural and man-made. It is vital to plan well in advance of possible catastrophic events in order to protect yourself and your business. Floods can be devastating, causing those affected to lose their home, their property, their pets, and even their lives. Floods and flash floods are among the most common types of natural disasters, so preparedness must be considered a priority for responsible managers and business owners. Learn more about the National Flood Insurance Program (NFIP). If you live in one of the more than 18,500 U.S. communities that participate in the NFIP, you can purchase flood insurance from Liberty Mutual Insurance. Visit floodsmart.gov, or call your local agent or broker. Prepare your employees, equipment and property for impact. Monitor damage and keep communication open during a major weather event. Know what to do immediately after a storm or weather event. Assess damage and prioritize recovery steps. Once again, the GuideOne Foundation will be awarding four $2,500 scholarships to students who are actively pursuing a future career in ministry. If you know someone who is seeking a leadership role in one of America’s religious organizations, please encourage them to apply for the scholarship. To gain more program awareness among church congregations and students of higher education institutions, commercial agents also are urged to share this information with their customers. Examples of how churches can share this with their members include putting announcements in Sunday bulletins, adding information to their website, and creating fliers about the scholarship and distributing them to congregation members. Must be a junior, senior or graduate religious studies student, or an individual in seminary. Students must be attending accredited colleges, universities or seminaries within the United States and District of Columbia. Minimum cumulative grade point average of 3.25 is required. Essay, transcript (official or unofficial) and one letter of recommendation are required. More information, including the online application, can be found on GuideOne.com under the GuideOne Foundation page. The deadline to apply is April 15, 2016. Applications must be received online and in full. Please note that GuideOne agents or children of agents are eligible to apply. Was Your Home Loan Sold? Quick, Call Your Insurance Agent! Do you have a mortgage? Yes? Then at some point in your home-owning life, you have received a letter telling you that your mortgage has been sold to another lender. There’s certainly nothing unusual about it when this happens, as home loans are sold every day in the United States. It is a very common practice. Typically, the letter tells you that nothing will change for you and – "you do not need to do anything." WRONG!!! – You should contact the insurance agent that handles your home insurance. Here’s Why: If your home insurance is part of your escrow then your agent needs to know and needs to change the Mortgagee endorsement on your policy. Every year your insurance company sends a bill to the company that owns your loan. Your lender sends a check from your escrow account to pay for your Homeowner’s insurance for the next year. If your insurance company does not have the correct lender information the bill will be sent to the wrong company and the bill will not be paid. Believe it or not – that is not the big problem. Here is the BIG PROBLEM. Your new lender wants to know you have insurance that will pay to replace your home in case of a total loss – they want to know they will get their money! If your new lender does not get a bill or see some form of proof that you have insurance – then the lender will put insurance in place for you. And guess what? The insurance the bank puts in place can cost up to THREE TIMES MORE than what you are paying now and that is just for your house and wouldn’t include insurance for all your belongings inside your home. If this occurs the lender is simply going to pass the high-cost of this other insurance along to the home owner in the form of a much higher mortgage payment on your next statement, which can cause unnecessary panic and confusion. The lesson – keep your Insurance Agent updated on any change regarding not only your home, but your lender as well. Your agent wants to be up to date and will appreciate the call and it’s a simple change that only requires a few moments to complete. https://agencyinfo-insuredco.netdna-ssl.com/insuranceassociate-wp/__domain_images_wp/enfold_wpheader_logo.png 0 0 Admin https://agencyinfo-insuredco.netdna-ssl.com/insuranceassociate-wp/__domain_images_wp/enfold_wpheader_logo.png Admin2013-01-25 12:05:002013-01-26 13:06:32Was Your Home Loan Sold? Quick, Call Your Insurance Agent! This time of year can be just great here in Mississippi. However, you won’t get much fireside snuggling done if your chimney clogs or your roof springs a leak. And while prepping your home for winter weather isn’t much fun, once you do it, your peace of mind can last all season long. Here’s a handy checklist to make sure the weather stays outside where it ought to be. If you have a forced-air furnace, visually inspect the outside of your system, the ducts, and other points attached to the unit. Repairing potential air leaks is easy to do with a little duct tape. It’s also a great time to clean or replace the filter according to the manufacturer’s instructions. If you can reach them, vacuum off the blower blades while you’re in there. A common source of heat loss and drafty spaces is faulty door or window weather-stripping. Check for drafts by holding a lit candle a couple of inches from the seam. If the flame moves (and you’re sure it’s not the dog breathing over your shoulder) you could have a leak. Typically these are easier to replace entirely than “spot repairing” and kits for doing so may be found at any hardware store. Creosote is the black, scaly deposit left behind in wood-burning chimneys. It slows airflow and is an enormous fire hazard. While the chimney is cool, take a flashlight and look for build-up past the damper (at the mouth of the flue near the base of the chimney). If you burn a lot of wood during the season–or very resinous wood like pine–cleaning the chimney is an annual must-do. This is one repair where hiring qualified professionals is best because they have the proper tools and experience to make sure it’s done right. Operational storm doors and windows prevent additional drafts and save energy costs. Make sure the hinges are lubricated and adjusted so they close properly. If you have interchangeable glass panels, make sure to install them instead of leaving the screens over winter. Clean gutters help prevent many cold weather problems from arising, such as basement flooding, siding damage, and door and window leaks. Clean gutters also help keep your foundation dry and repair-free. Plus, if your gutters are holding too much water they can pull free of eaves and fall off at any time, posing a hazard to your noggin. In some cases you’ll need to hire a professional to make siding (or paint) repairs, but you can easily inspect for cracks and separations, peeling paint, or other damage that’s not difficult to repair yourself. Usually, a little caulk and some paint do the trick. But don’t leave it to chance–or leave it too long–because when water gets behind siding it’s expensive to repair as well as a health hazard. If possible, check your roof close up. You can use binoculars to inspect safely from the ground. Look for missing tiles, cracked shingles, and “bald spots”. If you have a composition roof past its warranty, make sure to check for brittleness, a sure sign it needs replacing. Also, if you notice lots of asphalt granules in your newly spotless rain gutters, it’s a sign your roof is eroding and needs replacing soon. Lastly, make sure to check the flashing around the edges of the roof for damage. Taking just a few minutes this time of year to inspect your home for these common cold weather entry points and it will prevent more costly repairs, reward you with a lower energy bill, and help you have a relaxing holiday season. Insurance Associates is a well-established independent insurance agency with five offices located throughout Mississippi. We provide commercial insurance, personal insurance, group life and health insurance and individual life and health insurance to customers throughout the southeastern region. Our agency has grown dramatically over the past 35 years so, we are looking for talented, energetic individuals that are interested in being a part of our continued growth. Commercial Lines experience to include property, liability, commercial auto, inland marine and worker’s compensation is preferred but we are willing to train the right candidate. Current Mississippi Property and Casualty License or able to obtain a Mississippi Property and Casualty License. Office Hours: Monday through Friday, 8:00AM – 5:00PM, or as otherwise agreed. 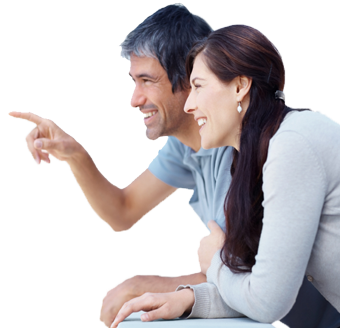 We offer excellent benefits, including medical/​dental/​ vision insurance, 401(k) plan, paid continuing education and more! Please complete our online application or submit your resume to Melissa Keyes at mkeyes@nullinsuranceassociate.com. TRYING TO SAVE MONEY? AVOID THE FIVE BIGGEST INSURANCE MISTAKES. With far too many Americans out of work, and others forced to make ends meet with less money, many people are looking for ways to cut costs. There are smart ways to save on home and auto insurance; however, there are also mistakes that can result in being significantly underinsured. When money is tight, it is extremely important to be financially protected against a catastrophe with the right amount and type of insurance by taking a few simple steps, it is possible to cut costs and still be protected should disaster strike. Insuring a home for its real estate value rather than for the cost of rebuilding. When real estate prices go down, some homeowners may think they can reduce the amount of insurance on their home. But insurance is designed to cover the cost of rebuilding, not the sales price of the home. You should make sure that you have enough coverage to completely rebuild your home and replace your belongings. A better way to save: Raise your deductible. An increase from $500 to $1,000 could save up to 25 percent on your premium payments. Selecting an insurance company by price alone. It is important to choose a company with competitive prices, but also one that is financially sound and provides good customer service. A better way to save: Check the financial health of a company with independent rating agencies and ask friends and family for recommendations. You should select an insurance company that will respond to your needs and handle claims fairly and efficiently. Dropping flood insurance. Damage from flooding is not covered under standard homeowners and renters insurance policies. Coverage is available from the National Flood Insurance Program (NFIP), as well as from some private insurance companies. Many homeowners are unaware they are at risk for flooding, but in fact 25 percent of all flood losses occur in low risk areas. A better way to save: Before purchasing a home, check with the NFIP to check whether it is in a flood zone; if so, consider a less risky area. If you are already living in a flood zone area, look at mitigation efforts that can reduce your risk of flood damage and consider purchasing flood insurance. A better way to save: Consider dropping collision and/or comprehensive coverage on older cars worth less than $1,000. The insurance industry and consumer groups generally recommend a minimum of $100,000 of bodily injury protection per person and $300,000 per accident. If you don’t own your home, neglecting to buy renters insurance. A renters policy covers your possessions and additional living expenses if you have to move out due to a disaster. Equally important, it provides liability protection in the event someone is injured in your home and decides to sue. A better way to save: Look into multi-policy discounts. Buying several policies with the same insurer will generally provide surmountable savings.